Campsite equipment is often unpredictable, with so many people using it day in and day out with budgets getting smaller and smaller for the up keep of our nations parks, the best thing you can do is try to anticipate the unpredictable conditions and regulate things on your end as much as possible. We can all do our part to keep our nation’s parks pristine. Cleaning up, following the rules of the parks and just generally respecting nature will help preserve this beauty for generations to come. By using your RV shower and bathroom it makes it much easier for campground staff to maintain the public bathroom. Every small thing helps, recycling your cans or even making your own soda so you don’t waste a bunch of cans contributes to the cause. Installing solar panels so you use less energy is also a huge help, the power grid can get overwhelmed at a large, full park. Another thing that can often be over looked is water pressure regulators. The pressure can often fluctuate at the intake making extremely high pressure that can damage your RV water system. 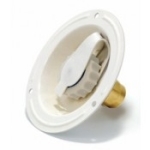 A water pressure regulator is an inexpensive investment that can spare you a lot of problems in the future. 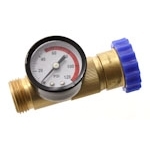 At Dyersonline.com we carry a variety of water pressure regulators so you never need to worry about the intake pressure when you are filling up your fresh water tanks. 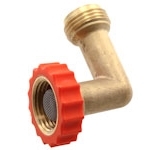 Another excellent product is the Valterra 90 degree lead free brass hose saver. 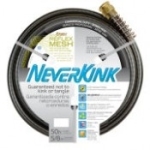 This product can save you money on having to continually replace your hose. The hose saver also prevents crimping and cracking so your hose will be able to last no matter what angle you hold it at. We also have storage bags so you can neatly store your hoses when not in use. At Dyers we strive to bring you affordable parts that will help make your trip safer and more enjoyable.